TREVOSE, PA, November 2, 2017 – The CEI Group, a global leader in accident management and driver safety programs, today announced that John Wysseier has been appointed president and chief executive officer. CEI’s founders – Wayne Smolda and Claudia Smolda -- will remain with CEI as Chairman of the Board and Chief of Staff, respectively. 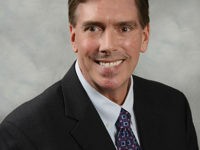 Mr. Wysseier most recently served as managing director for Solera Holdings’ Business Process Outsourcing (BPO) segment while also serving as the president of LYNX Services, a leading third-party provider of claims management services within the US-based Property and Casualty Insurance segment. Before that, he served as the executive vice president of the Insurance & Services Division of Pittsburgh Glass Works which was acquired by Solera in mid-2014. Mr. Wysseier’s management experience also includes time with CEI. From 2001-2006, he led Business Development and Operations and was managing director of European Operations, which he launched from Barcelona in 2004. Mr. Wysseier will report to Jim Halliday, President and CEO Element Fleet Management International. Element acquired The CEI Group in December of 2016. “I’m tremendously excited to re-join the CEI team with a mission to sustain the distinctive legacy of our company’s founders further positioning CEI as the global market leader in accident and driver safety and risk management through differentiated technology, product and process innovations,” said Mr. Wysseier.